Islamabad incident shows the sheer negligence of police and law enforcement agencies. 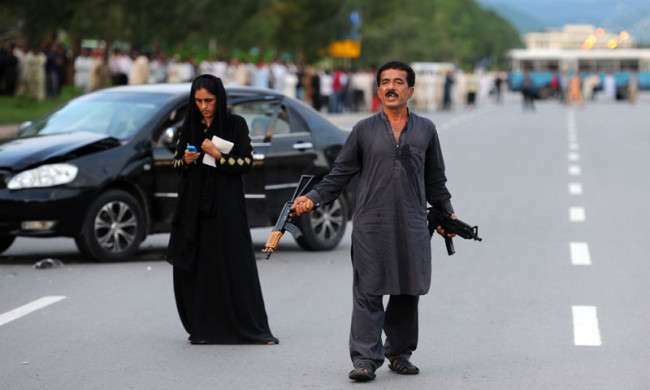 One man held Islamabad hostage for nearly 5 hours. The complete administration of federal capital got shocked and jammed for a while and no government representative turned up and dared to negotiate with the armed man. The armed man is believed to have some hidden agenda. Sikandar was accompanied by his wife and children. Sikandar was quite successful in getting the limelight and diverting the attention of media from important events like violations of ceasefire at LOC from India and other significant national and international news and events. Basically Sikandar belongs to Hafizabad and worked in Dubai as well some time ago but returned to Pakistan after Dubai authorities started crackdown and operation against extremists and jihadis. Sikandar was not alone, rather he was accompanied by his family i.e. is his wife and children. 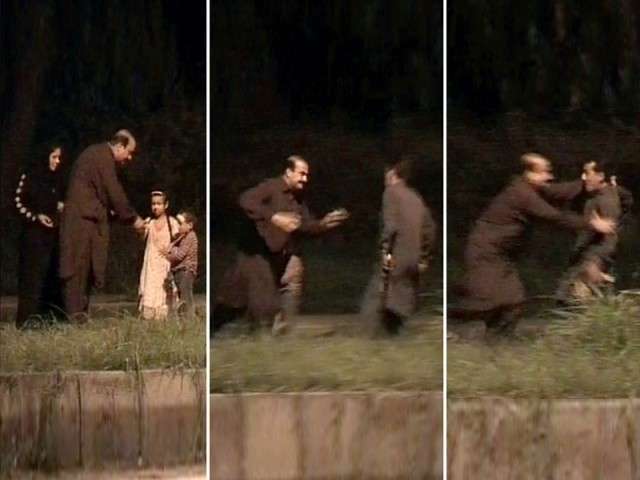 Sikandar also tried to use his family as a human shield in case he get attacked. Right now, he is admitted in hospital in Islamabad after he sustained bullet injuries. Police is investigating the matter but there is another side of the story which is yet to be revealed. What Zamrud Khan (leader of Pakistan People’s Party) did? Was it a bravery or foolishness? It might cost him his life but there remains a question mark on the cops and their officers who was present at the spot. Who was responsible if Zamrud Khan would have been attacked? What would happen if tomorrow Taliban or any other radical group of terrorists of any banned group attack federal capital? Is Islamabad police and relevant authorities are prepared to get over with any emergency situation…or once again our country is going to witness another bloodshed? The bottom line is, if we are not going to learn from our mistakes, we as a nation is going to pay its price.